Carly Paiva is 22 years old and she has always been around the automotive business since she was 2 years old. Her parents opened Elite Auto Repair April of ’98. Due to them both trying to start a new business, she was always at the shop. She started working in the business as soon as she could. Her mom would bring home office work such as filing, making new folders for new customers, mailers and a lot of other stuff. Once she could drive, she would go after school. She went to college full time and worked around her school schedule. She attended a community college in RI where she received an associates degree in business. The longer she worked there, the more responsibilities she had. She did office work, bookkeeping, and was even a driver for awhile picking up customers, washing cars, picking up parts etc. It wasn’t just up until this year where she started writing service. Three years ago their shop joined Cecil’s Smart Group and Carly have attended many of his classes. She is currently attending one. Lauren Anderson is an Executive Assistant to her dad. In her position, she gets the opportunity to learn all aspects of the business, through her dad’s experience and perspective. She also takes care of anything that her dad asks her to. She is responsible for the management of the company’s security including keys, alarm codes, login information, online presence and completing monthly reports. Her dad gave her the Freedom to speak up on any subject at any time either to make suggestions or to ask questions. Freedom to manage her own calendar, schedule, tasks, and responsibilities. She is finding solutions to setting their staff for success. Multiple family members need to understand the parents plan for succession that there will be one leader (president). These tough conversations must be had. A mentor for both the successor and successee will help. Jacquie’s mentor has been one of her best assets. Jacquie’s mentor came through the Women In Auto Care. WIAC Website HERE. Connect and keep relationships with the instructor’ whose class you’ve attended. Don’t make a change for the cause of change. You need a strong solution. Digitized a lot of paperwork. Involved with the community bigger than ever – First Responders – Jacquie saw the results of that effort faster than many other programs. 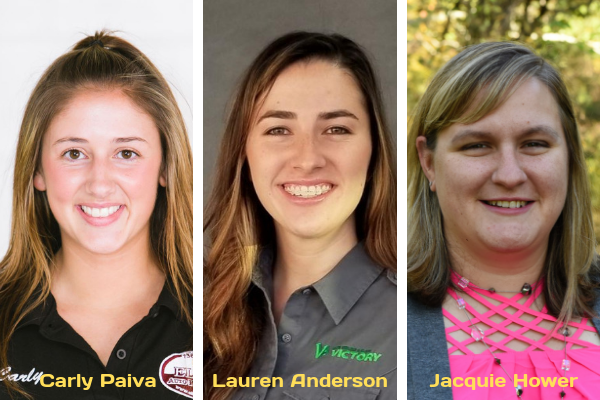 Thanks to Carly Paiva, Jacquie Hower, and Lauren Anderson for their contribution to the aftermarket’s premier podcast.